It was just enough water to get in and screw everything up. If I were these shrubs, I would take this very personally. The Live Oaks did just fine, but massive Magnolias, Crepe Myrtles by the score and anything submerged below the waterline for extended periods of time as these shrubs were didn’t have a chance. 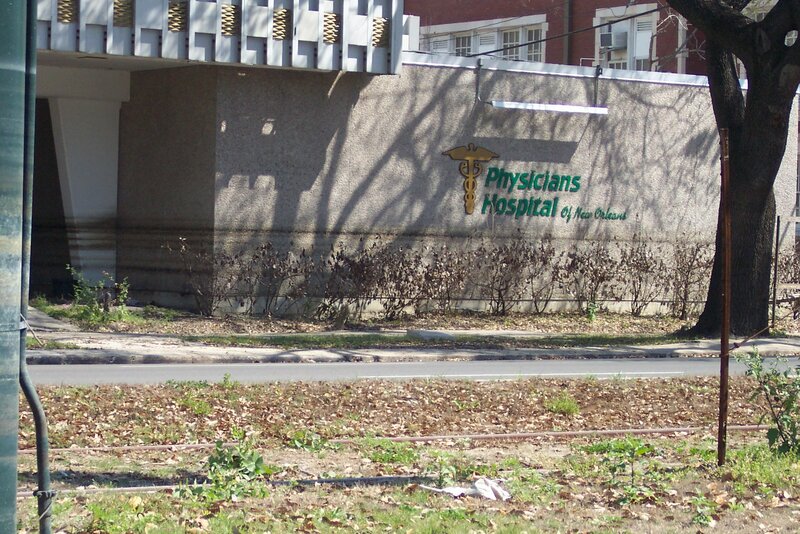 This medical center is was on Canal Street near Mid-City, which is the deepest part of the bowl that is New Orleans and thus had the deepest flood waters. The high rim of the bowl is the levee created by the river. It’s true: you were safer from the flood if you were near water, either the lake to the North or river to the South. The World Trade Center is also on Canal, but on the river, so it remained high and dry.